Info › Outlook › How to Transfer Microsoft Office to another Computer? How to Transfer Microsoft Office to another Computer? Transferring Microsoft Office from one computer to another computer is no more a tedious job. After receiving huge feedback from the users in 2013, requesting for the user rights to transfer Microsoft Office to another computer. Microsoft finally agreed to allow users to have their Microsoft Office transferred to new a computer. Hence transferring Microsoft Office can be done in minutes with the help of this article. 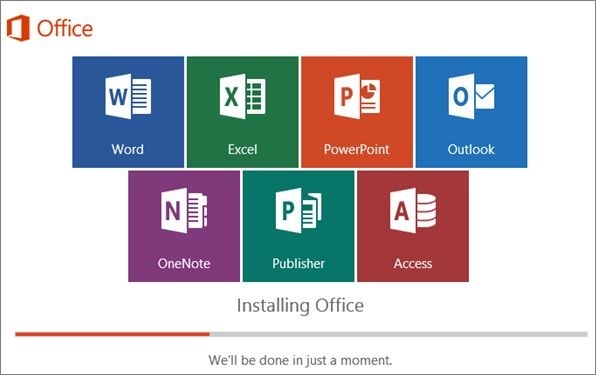 Before you start with the process of transferring Microsoft Office to a new computer, you should deactivate your Office account and uninstall Microsoft Office from your old computer. Open the web browser on your old computer from which you want to transfer Microsoft Office and go to Microsoft Webstore. Login to Microsoft store using your login credentials, after login you can see the list of active installs you currently have. Find an orange button named install under the column install, click on install. Now click on Deactivate install under the column named installed. Click on Deactivate in the pop up to confirm deactivation of your Office. Open search bar and type Control Panel, click on it. Click on Uninstall and Program and select Microsoft Office from the list. Select Uninstall to remove Office from your old Windows computer to move ahead with the process of transferring Microsoft Office from old computer to new computer. Find Microsoft Office from the list of applications, Right click on it and Move to Trash. Now you are good to go on with installing Microsoft Office on your new computer. Open the web browser and go to Microsoft webstore. Login to Microsoft webstore with your username and passwords. Click on install under the heading Office, this will download a setup file. Now click on the Setup file to install the software. After installing Microsoft office open the software and Sign in with your username and password. Finally, you have successfully transferred Microsoft Office from old computer to a new computer. If you want to move Outlook to new computer or other Office applications you can follow the same above steps. If you are finding any problems in signing in or any other common issues with Office the following section of this article will help you find solutions to common problems of Office 365. From the list of installed Programs, right-click on Microsoft Office. Click on Change and select online repair from the list of options. Once the repair process completes, restart your computer.The above solution will fix the Microsoft Word sign in problem. Go to file explorer and go to file location shown in the error. Go to Security tab and click on Edit button. Select your user account and Set permission as Full control. Do the same for all administrators and system to give Full control Permissions. Restart Outlook and access your PST. The above solution will fix unable to access PST in Outlook 2013 issue. Transferring Outlook files can be a painful job if you don’t have Office 365. This is because Office 365 lets you have a copy of your Outlook data in cloud hence migrating PST to Office 365 will improve its accessibility. These are some common Office 365 problems and solutions to fix those problems.